The five-event 2019 Winter Words series will include professional rock climber and memoirist Tommy Caldwell, best-selling novelist Curtis Sittenfeld in conversation with her longtime friend and fellow novelist Emily Jeanne Miller, “Everything Happens for a Reason” author Kate Bowler, Pulitzer Prize winner Colson Whitehead and New Yorker staff writer Jane Mayer. Aspen Words announced the lineup Thursday evening during a launch party at the Red Brick Center for the Arts. On Jan. 29, Sittenfeld — author of the novels “Prep,” “The Man of My Dreams,” “American Wife,” “Sisterland” and “Eligible” — will discuss her work with Miller, the author of “The News from the End of the World” and a former Aspen Words writer-in-residence. 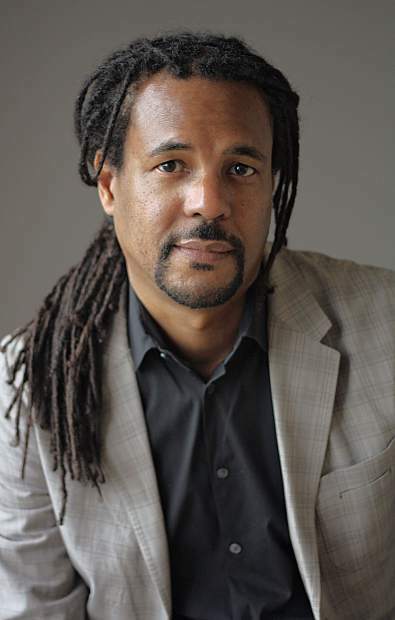 Whitehead, author of the watershed 2016 novel “The Underground Railroad,” which became a runaway bestseller and won both the Pulitzer and National Book Award, will speak Feb. 12. Whitehead announced this week that he is writing a novel about life in the Jim Crow era, to be published in summer 2019. Bowler, the Duke University divinity professor, podcast host and author of “Blessed” and “Everything Happens for a Reason” will discuss her work Feb. 26. The series closes March 12 with Jane Mayer, the narrative nonfiction writer behind the Koch brothers expose “Dark Money” and recent New Yorker investigations on sexual misconduct that led to the ouster of New York Attorney General Eric Schneiderman and revealed an allegation against Supreme Court Justice Brett Kavanaugh. “From the underground escape channels of a Georgia plantation, to the granite walls of Yosemite, to the dark money-lined halls of power and beyond, recent books by our Winter Words authors take readers to new worlds and, we believe, expand the literary conversation in our valley,” Aspen Words director Jamie Abbott Kravitz said. All events take place at Paepcke Auditorium on the campus of the Aspen Institute and run 6 to 7 p.m. with book-signings to follow. It cost $25 for single tickets, $60 for a Aspen Words member series passes and $80 for non-member passes. They will go on sale in early November at the Wheeler Opera House box office and aspenshowtix.com. More info is available at aspenwords.org.